As a kid, I found celery the most unappealing snack food imaginable: fibrous, stringy, and unforgivably bland. Even in recent years, I could appreciate its workhorse utility in the background of a soffrito or a stock, but I seldom found myself lavishing it with praise. Which is a shame, because celery is remarkably versatile as a main ingredient. 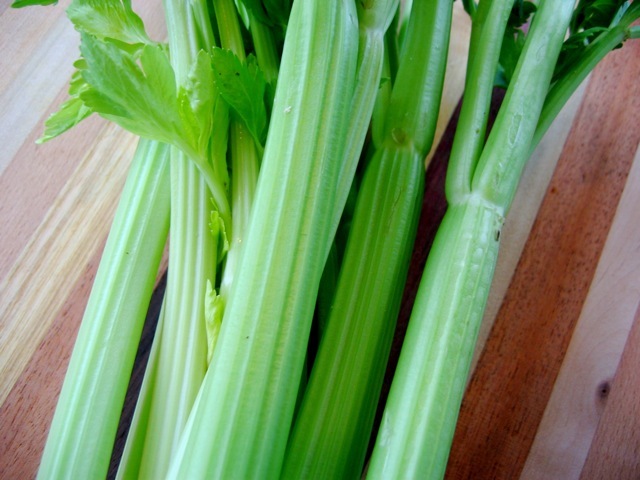 At its best, celery is strikingly crisp and clean when raw, tender and gently sweet when cooked. Paired with ingredients that accentuate its best features, such as lemon and honey, celery is something not just to be relied upon, but to be celebrated. Two things made me reconsider celery. First, I discovered the skinny-stalked, prolifically leafy celery at my farmers’ market, called "cutting" or "leaf celery." It’s crisp and sweet, with a stronger flavor than conventional celery. Second, while dining at a favorite Latin American-inspired tapas restaurant, I tasted a celery salad starring shimeji mushrooms, toasted corn kernels, delectably grainy aged mahon cheese, and celery marinated in lime and ginger. It was a rapturous homage to celery. You don't need to purchase special celery to appreciate this everyday vegetable anew. When fresh and stored properly, common grocery celery (usually the Pascal variety) can be lovely all by itself. Toss thinly shaved celery with fennel, parsley, and a lemon vinaigrette for a quick salad, or make a main dish of smoked trout and celery salad. And if you’re lucky enough to find celery with an abundance of leaves, celery pesto will put them to great use.